Welcome to No Dog About It Blog! 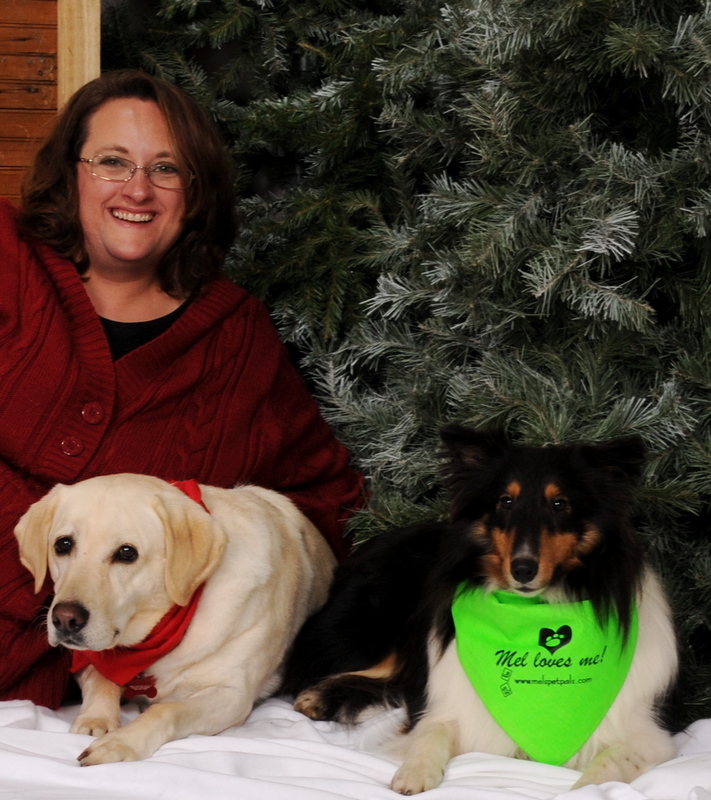 My name is Mel (Melissa) and I am a former pet sitter and dog walker from St Paul, Minnesota. This blog was started as a way to share pet information with my clients, but over time it has become a venue in which to share my ponderings, thoughts, pet knowledge and experience on a wide variety of pet-related topics and issues. I invite you to share your own thoughts, comments, questions and experiences. I am always excited to learn from others, and I value the opinions of those who may have a different perspective. Before becoming a pet sitter, I was a volunteer at the Minnesota Valley Humane Society (MVHS) for 8 years as a dog walker and Star program trainer. In my time at MVHS, I fostered 4 dogs, failing with two – Daisy and Jasper (my dogs). I also have a cat, named Nick. Daisy, my Labrador Retriever, was a former breeding dog in a puppy mill. I adopted her after fostering her for a short time through MVHS. She is an amazing dog who has overcome many obstacles, including fears of: people, strange noises, cars, new places, and new experiences. Everything I learned about rehabilitating a puppy mill dog I learned from her. You can read more about Daisy, and her search for her “Inner Lab” here. Jasper, my Shetland Sheepdog, was purchased (along with his sister and a cat) from a pet store by a woman who wanted to rescue them from deplorable conditions. He had been in the pet store window for about 8 months, had fleas, was missing fur and was covered in feces when he was surrendered to MVHS. I fostered both he and his sister before she was adopted. Jasper ended up staying on with us and both Daisy and I are very happy about that! 🙂 He and Daisy are the very best of friends. Nick, has been with me for over 13 years. He was 6 when I adopted him. He was a surrender from a family who’s child developed severe allergies. He is a well-seasoned boy who manages to keep everyone in line despite any previous attempts to tell him he is not in charge. I am a passionate advocate for shelter pets, pet adoption and stopping puppy mills. As a result, you will find that many of my posts reflect these topics. However, I also happen to love to laugh, so you will also find funny pet stories and videos posted on a frequent basis. I am sorry. I am not really interested in doing product reviews at this time. Again, welcome to No Dog About It Blog. I hope you will come back to share your thoughts, comments and experiences. I must commend you Mel, stepping away from the corporate world and setting out to do what you love is both brave and wise. I wish you great success with your business and your writing. Thanks Karen! It wasn’t an easy decision, but I don’t regret it. I get to play with dogs and cats for a living. Really? What could be better!?! I sent you an e-mail, but in case you didn’t see it. Yes! I would be happy to have a guest host blog from Adoptapet.com! Very nice blog! I’ll be coming back to read 🙂 I’ve also changed the course of my business after the loss of a few of my pets. I used to specialize in homemade aromatherapy products (soaps, salts, etc.) but I soon realized that without my pups there, a big part of my routine was missing and almost closed up shop. But, instead of letting the grief consume me, I turned it around and made them an even bigger part of my business by changing my product line and creating a line of pet memorial candles and fragrance oils, which are appropriately called “Memoromas”. I’d love you to take a look at my site. My goal is to reach all pet owners who lose their beloved family members (pets) and help them hold on to their memories. Good luck with your blog! Will be back for sure! I am so happy to have found this blog and the world of pet blogging in general. Perhaps my Welshie will want to read some of these posts with me! I sure hope so Big City Baby Carrots! Thanks for stopping by. Hi Mel. We are donating $1000 to pet related charities. If you or your readers have any suggestions for a good animal-friendly charity we would love to hear them. I love your blog and I visit it frequently to enjoy the post and to leave comments. I have also incorporated your link within my DogProducts.org site as a valuable resource for my visitors. Would you be willing to return the favor by placing my link right here within your blogroll? Hi, it has taken me time to find excellent dog bloggers, who both understand and speak up for animal welfare, pet rescue and pet adoption. So glad I found you on WordPress. It is great to see more people rallying against puppy mills. It sounds like you have many enjoyable days ahead with your pups! I am starting out as a dog walker/pet sitter and look forward to learning a lot from you blog. Thanks for all you do! Good luck Natasha! It’s hard work sometimes, but so much fun and so worth it. I hope you have a great time! lovely blog!! just found it and added it to me list of daily reads! Thanks for following Catherine! I wish you much luck on moving to Lewis. How exciting and scary all at the same time! Wow! Thanks Audrey! I need to get over to your blog. I am so crunched for time during the week that I usually have to wait until the weekends. Thank you! I hope you fared well from Hurricane Sandy!! We had no power for 10 days, trees, poles and electric lines down everywhere! Everyone is safe, including Penny…:-). Its been very rough 10 days!! I will be posting photos for yoiu to see on our blog and facebook page over the next couple of days. After Hurricane Sandy, which was hard enough. last night we were hit with a snow storm which gave us 5 inches of WET snow and more problems. WE still have power, but who knows…. I was wondering where you were!!! I had no idea it hit you so hard! Welcome back Alex and Penny! My friend Kim is still without power – she’s long the Jersey shore. They are supposed to get it back today. I sure hope so. 10 days is a long time, but so is 12. Penny must have been SO confused! And now, she must be cold! If it makes you feel any better, the warm weather that Hurricane Sandy gave us is now coming your way. I hope it melts all the snow. You guys all need a break. Thinking about it, our ancestors crossed this wonderful country of ours with No power, no water and hardly any food. I do not how they survived. The hardships they encountered. Just trying to make as meal took a long time. Showering and washing up, what an ordeal. It really makes one appreciate what a great country this is and how Mother Nature can humble the strongest person. Your friend in Jersey I’m sure is having a very rough time and can use our support. Alot of people still do not have power including my father who is in Long Beach, right ON the Beach. His home was under 6 feet of water. the whole downstairs was ruined. When I getr a chance either tonight or this weekend, I will post the photos. By the way, the sun is out and it is 48 degrees and will be going up to 55…..YEAH. As promised, here is the link to the photos I Posted on our blog. i also posted them on facebook too, my personal account (Alexander Brenner) I have alot more contact under my personal name…LOL. The photos are pretty drastic, dont worry, we are all safe! Barbara-absolutely you can repost. I hope it helps someone else. Love your blog Mel! Getting a rescue dog motivated me to start my website to raise funds for rescue dogs. I’ve also met so many friends through agility training with my dog. It’s amazing the positive effect rescuing a dog can have on your life if you let it. Wishing you loads of success with your endeavours! Hi Melissa! 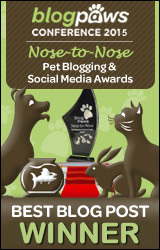 I nominated you and your pups for a Super Sweet Blogger Award and a Versatile Blogger Award. You can read more about them here: http://champersandstail.blogspot.com/2013/06/thank-you-everyone-this-newbie-is-sweet.html ! Holy cats! You did? Thank you! You are way too kind! Awesome! Thanks Inky! I’ll follow your blog too! Hi- Really enjoy your blog and your dogs are adorable! I walk out to do my nightly dog walk or Fritz(miniature schnauzer:) will keep bothering me. He wiggles out of his collar and takes off down the street to the main street with non stop traffic .I totally freak out run back home just yelling to my boyfriend grab your car keys Fritz took off. I have night blindness and I ran after him .I stayed in the middle of the road trying to block him from running in the road and got my boyfriend to follow him with his bright lights.Fritz thought it was the greatest game of life. Cookies,car door open let’s go for a ride..NOTHING WORKED! My boyfriend turns the corner with the car to block him.he didn’t know I was coming from behind as my boyfriend was talking to him.So Fritz decide’s to lift his leg to do his business and I literally jumped him screaming stay.He was in shock and fell over.I wouldn’t to kill him.But I bought him home closed the bathroom door with him it. When he came out he apologized and licked me and he is impossible but so cute! end of the story I’ll always check his collar before leaving the house. Oh what a lovely puppy. Thank you. 100% of the profits will be donated to Best Friends Animal Society. communities, setting a model for what can be accomplished nationwide. and mention in your blogs or news. Hi I am new to your blog , I live in Long Island New york, I have been walking my dogs every day for ten years down my block towards the remote area were all dogs do there business, I always pick up after my dogs, a Great pyrenees (Nannook ) And German Shepard (Beauty) Recently 2 different neighbors on the route have come out of their homes yelling at me not to walk my dogs by their house! I was so taken back by this , i told them that i always pick up after my dogs and they do not have the right to tell me i can not walk on the sidewalk that belongs to the town, I do not want a problem with these people but i feel that they are wrong to harass me while i am walking my dogs on my own block! there is no where else to walk my dogs besides the side of a busy highway that is way too dangerous! Has anyone been trough this situation before? I would consult a police officer to ask if there is any reason you cannot walk your dogs in that area and next time someone says something tell them that you spoke with the police and they confirmed you have every right to do so. People are weird like that. I have a friend who was yelled at when her dog went in front of a guy’s house, even though it was on the boulevard and she picked it up. I am so sorry you have to deal with that. Thank you for sharing a little about yourself and the selfless job you do for pets in general. Rottweilers seem to be a dog with a sad history of being re-homes as they have had such bad press at times those that do not know them do not want to. Quite sad really as they are a fantastic breed with many great qualities. My Schnauzer has gotten loose twice. He will run if chased. It is like a game to him. Both times I knelt down, overed my face with my hands and whined like I was a puppy in pain. Both times my Schnauzer returned to check on my welfare. Might not work for all dogs but it did mine. As a pet sitter, I think we always need to keep educating ourselves. Too many new pet sitters think it’s a nanny position, baby the dogs, dont know the first thing about language or behavior and hence are creating damage rather than maintaining good dog human relations while owner is away. Sometimes we need to correct bad behavior which their own human companions are just not seeing, are creating, or are just putting up with in frustration. We are supposed to be professionals, not simply ‘watchers’. Ive had pet-sitters bring Chinese toys, almost be ‘afraid’ the dog was going to do something hey couldnt handle,and seem to know nothing about dogs at all! I came to your blog about ‘Dont chase a dog’. I knew about running in the opposite direction to get a dog to follow, but I had never thought about sitting and stopping, since of course your instinct in a perilous situation is to Regain control. Thanks for that. BookMarked! Hello, I am very happy to have discovered your website. Am I able to use some of your posts on my blog with proper credits of course? I am new to this and do not want to do anything that is against proper protocols. Thank you. Thanks Pamela, but you may only use my photos that are posted via Flickr with the appropriate credit back to me and my blog. Is there a reason you would want to use my photos? I was really thinking more of content not photos with proper credit of course. I enjoy reading your blog and love that you love what you do! I am so happy to finally find a pet blogger. I I have recently started blogging too, I would love to possibly do a blog share? I have a pet goose named Diana that I blog about. Would you be interested in guest host blog sharing? I look forward to hearing from you. Hi I have a 14 year old Maltese. She has a heart murmur has had a few seizures in the past but mostly had had a healthy life. She has been mostly blind for about 2 years now. Her eyes actually hurt her the majority of the time even with medicine. She also has recently lost most of her hearing. She has bad arthritis which is also in her spine so her back legs have started to get weaker. She has started to look like she is almost dragging them, she also is having trouble holding herself up to use the bathroom. I carry her in and out to go potty but she has started going at any given time in the house. She stumbles all over the house and hits her head on furniture constantly. She does still have an interest in food but she obviously has no desire to play. She recently has started barking in the middle of the night which is unusual. I took her to the vet Wednesday and they suggested I euthanize her. They have done that in the past as well but I have held off for about a year due to her desire to eat,etc. however the decreasing mobility has me concerned. I made an appt to put her down tomorrow but I keep agonizing over the situation wondering if I’m making the wrong one. Can anyone give me any insight? I would love to send you pictures of my Gold and Diamond Jewelry line for Dog Lovers. Thank you, but I am not really a jewelry kind of person. I’m so happy to have come across your blog – your passion for rescue pets and adoption is so lovely and something my campaign Foster to Save also focuses strongly on. I began foster caring rescue dogs early this year and fell in love with not only the dogs but also the rewards and challenges you experience along the way, especially with shy and fearful dogs which you’ve experienced as well. Fostering and adoption go hand in hand, and it’s great to see you and all your followers advocating and raising awareness of this and also the global problem of puppy mills. Your pups are gorgeous as well and I’ve loved reading your posts and seeing all of your photos – Wordless Wednesday is such a great idea!! Hi Mel: just stumble across your Blog, i live in Vancouver BC Canada and your blog was so helpful in helping me cope with the search for my dog. her name is Stella, she was out with her Walker and a couple of dogs got in a fight, scared her and she ran away, they were on a mountain trail and and they thought she may have ran back to the gate or the car, no site of her. we have been searching for 5 days now, follow all the advised that were offered nothing. Her name is Stella, JRT, 14 months,has microchip,we have had sniffer dogs on the trail, they picked up her scent the 2nd day, went back on Saturday nothing of her. Oh Harriet. Any news? Have you found Stella yet? It is so hard to lose a dog this way.